The first trophies of the 2018 Europe Youth Top 10 tournament in Vila Real have been awarded to France with Prithika Pavade and Myshaal Sabhi emerging as Cadet Champions on Sunday 9th September. Requiring just five games to claim her opening win of the day against Arina Slautina (9-11, 11-9, 12-10, 11-9, 11-6), Prithika Pavade went on to beat Anna Hursey (11-7, 10-12, 9-11, 11-4, 11-7, 11-9) and Sophia Klee (11-7, 10-12, 11-6, 11-8, 11-9) to seal top spot in the Cadet Girls’ Singles category. Elizabet Abraamian lived up to expectations with the second seed finishing in the runner up position in Vila Real. The Russian competitor proved too strong for third seed Kornelija Riliskyte on day three (5-11, 11-3, 11-7, 11-9, 18-16) before adding victories over Radmila Tominjak and Elena Zaharia. Top seed Elena Zaharia finished three points off the pace in third position while last year’s gold medallist Sophia Klee settled for fourth. 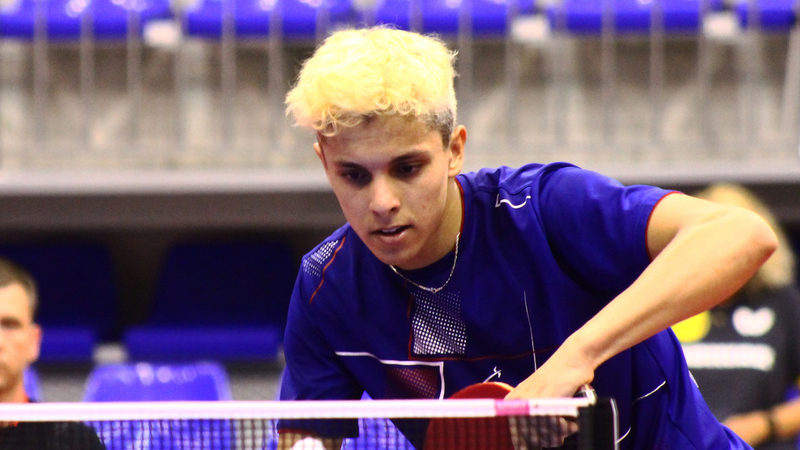 Over in the Cadet Boys’ Singles it was Myshaal Sabhi who came away with silverware to his name despite suffering his first defeat of the tournament to Adrien Rassenfosse (11-9, 11-8, 8-11, 11-6, 8-11, 10-12, 12-10). Positive outings against Mike Hollo (4-11, 11-7, 11-4, 11-8, 12-10) and Maciej Kubik (9-11, 12-10, 7-11, 11-3, 11-8, 11-7) proved enough to hand second seed Sabhi the title. Croatia’s Ivor Ban once again caught the eye with another superb day at the tournament. The ninth seed’s biggest success of the day came in the afternoon session, earning a fine six games victory over no.5 seed Simon Belik (11-8, 13-11, 8-11, 8-11, 11-5, 15-13) to finish in the runner up spot. Maciej Kubik entered the event as the top seeded player in Vila Real but was restricted to a third position finish in the draw with Fabio Rakotoarimanana rounding out the top four.